For Palestinians, agriculture is much more than the production of olives, citrus fruit and other fresh produce, or keeping livestock. Farming is tied to the Palestinian people's identity, history and resistance to Israel's colonial occupation. Israeli agricultural export companies such as Mehadrin and EDOM play a key role in Israel’s destruction of Palestinian agriculture, the dispossession of Palestinian farmers and land grabs that make way for illegal Israeli settlements. 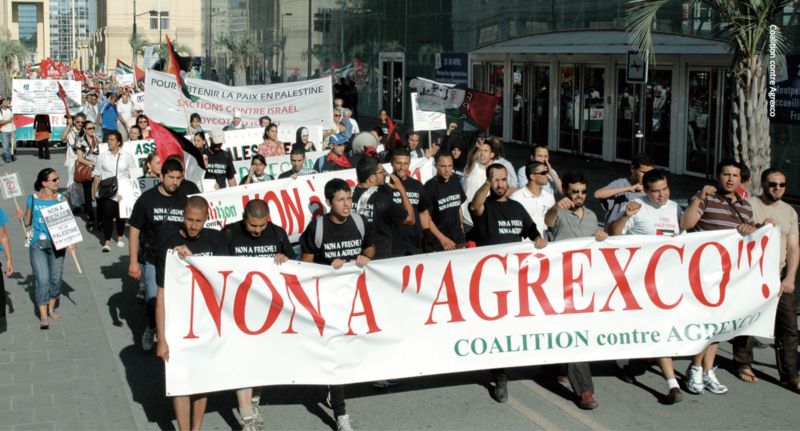 International mobilisation against Israeli agricultural export companies were a key factor behind the collapse of Israeli company Agrexco in 2011 and have persuaded supermarkets in countries across the world to stop selling certain products. 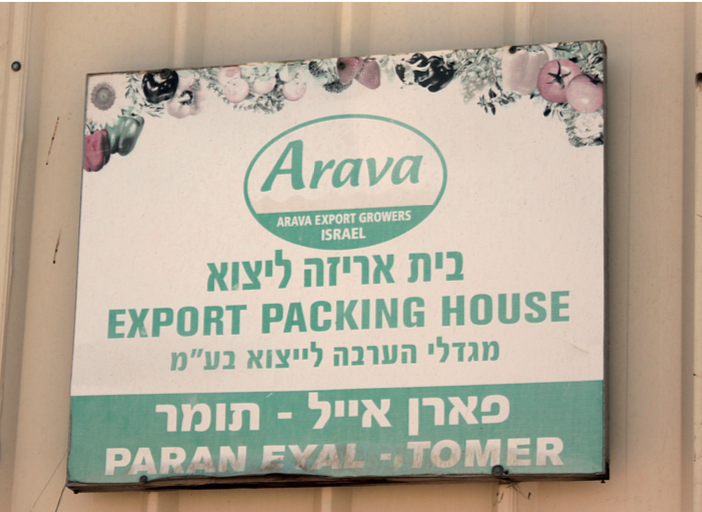 Israeli exporters regularly complain it is getting harder to export their products. 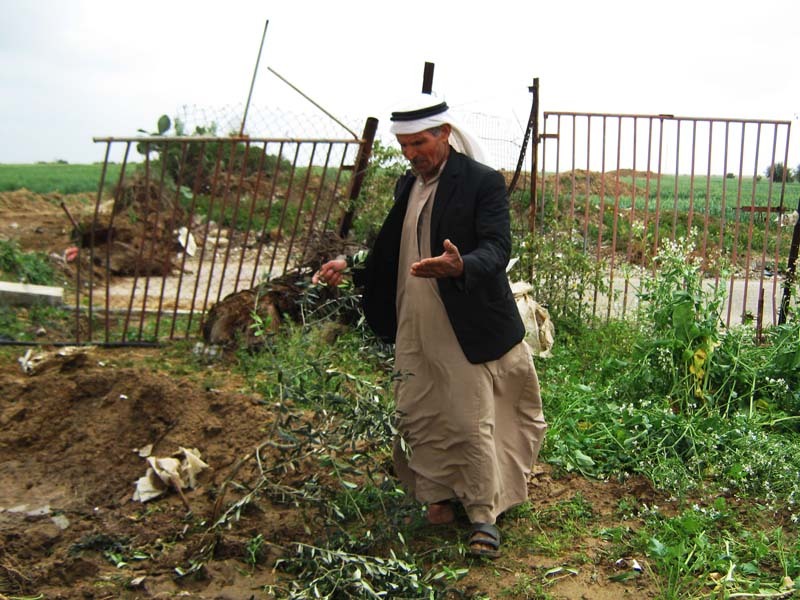 Palestinian farmers face the brunt of Israel’s land confiscations, demolitions and water theft. Farmers that still have access to land and water face systematically implemented restrictions and violence. Israeli agricultural export companies such as Mehadrin and Hadiklaim are among the primary beneficiaries of the destruction of Palestinian agriculture. They operate inside and export produce from illegal settlements using stolen Palestinian land and water, as well as profiting from the siege on Gaza. When supermarkets and retailers sell products sourced from Israeli export companies, they are profiting from and financing the continued existence and expansion of illegal Israeli settlements and the colonisation of Palestinian land and resources. In 2013, the Farming Injustice report published by Palestinian organisations set out these issues in detail. Those organisations also issued an appeal for action. Israel’s siege on Gaza is designed to create food shortages, and prevents farmers from accessing basic equipment or exporting fresh produce. Fishermen cannot fish further than 3 miles from Gaza’s coast and come under regular attack by the Israeli navy. More than 30% of Gaza’s farmland is located in Israeli ‘buffer zones’, no-go areas that extends along the entire northern and eastern perimeter of the Gaza Strip, inside Palestinian territory. Palestinians that enter these areas routinely come under fire. In the West Bank, farmers are being driven from their land to make way for illegal Israeli settlements. Farmers are often separated from their lands by Israel’s apartheid wall or other barriers and are only granted access by the occupation authorities to their land infrequently or sometimes not at all. Israel illegally controls all of the water sources in the West Bank and prevents farmers from accessing water. 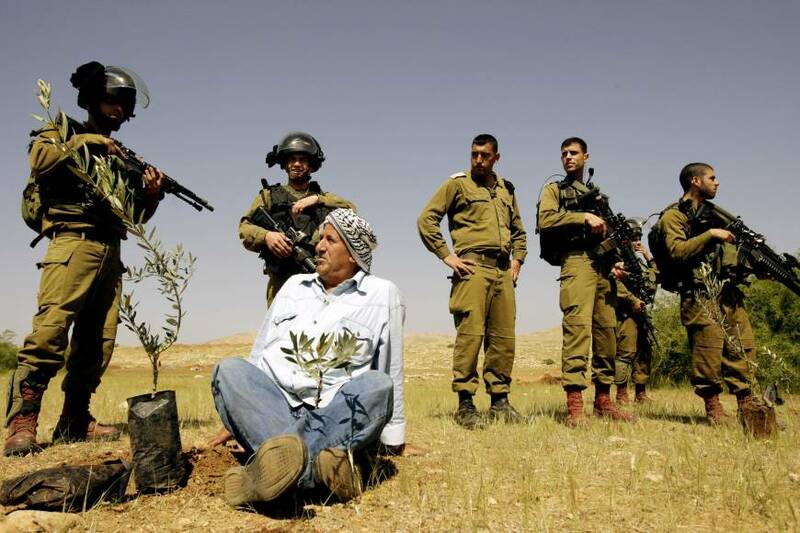 Palestinian farmers face serious violence and harassment from soldiers and fanatical Israeli settlers as they tend to their crops or collect the annual harvest of olives and other fruits. Israeli agricultural export companies such as Mehadrin and Hadiklaim are among the primary beneficiaries of the destruction of Palestinian agriculture. They profit from the siege on Gaza and operate inside and export produce from illegal settlements using stolen Palestinian land and water. 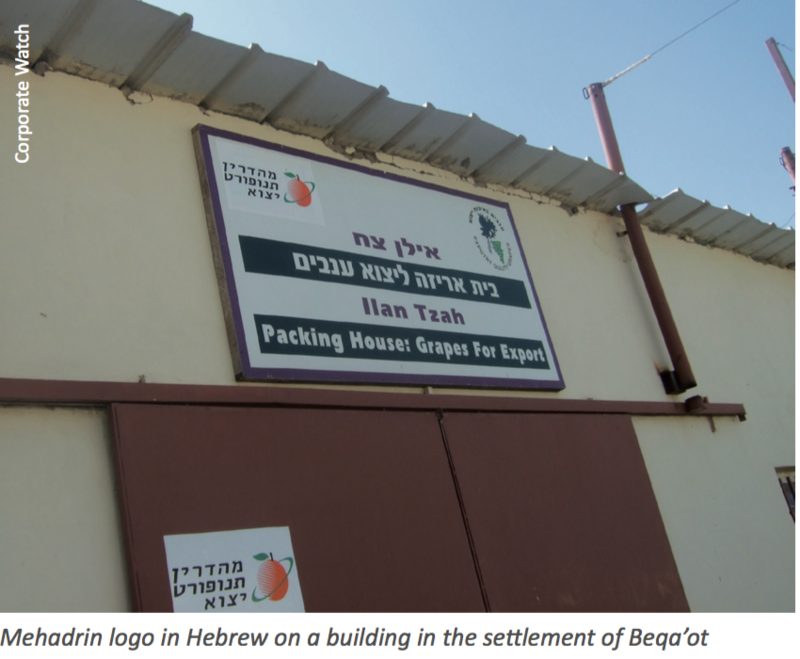 Many illegal Israeli settlements are only economically viable because companies such as Mehadrin operate within them and are able to export their produce to supermarkets in Europe and elsewhere. In 2013, the Farming Injustice report provided information about a wide range of Israeli agricultural export companies and their complicity with the destruction of Palestinian farming. Mehadrin - A major Israeli export company, Mehadrin owns and operates farms built on stolen Palestinian land in the occupied West Bank. Has subsidiaries in Europe and large framework contracts with a number of supermarket chains, including Tescos in the UK. Hadiklaim - The Hadiklaim Israel Date Growers Collective includes date growers in illegal settlements and exports its products to supermarkets across the world. Regularly mislabels its settlement products as “Made in Israel” or “Made in South Africa”. Read more about these companies in the Farming Injustice report or at the Who Profits report Made in Israel. On February 9, 2013, all of the major Palestinian agricultural organisations issued an appeal for action to end trade with illegal Israeli settlements and Israeli agricultural export companies. The appeal was launched with a series of demonstrations in Gaza and across 40 cities in Europe. The organisations also published a briefing that aims to shed light on the systematic destruction of Palestinian agriculture by Israel and the complicity of Israeli agricultural companies in this destruction. Palestinian farming organisations are increasingly seeing their struggle to remain on their land and resist Israel’s colonisation and restrictions on Palestinian agriculture as part of a global struggle for food sovereignty. As the global food system has been reshaped in the interests of private profit, millions of small-scale farmers and indigenous people have been forced from their lands or had their way of life turned upside down. “Food sovereignty is the right of peoples to define their own food and agriculture; to protect and regulate domestic agricultural production and trade in order to achieve sustainable development objectives; to determine the extent to which they want to be self reliant; to restrict the dumping of products in their markets; and to provide local fisheries based communities the priority in managing the use of and the rights to aquatic resources. Food sovereignty does not negate trade, but rather, it promotes the formulation of trade policies and practices that serve the rights of peoples to safe, healthy and ecologically sustainable production." Campaigning against exports by Israeli agricultural companies has been a key part of the BDS movement since it was launched in 2005. Grassroots pressure and public opinion has forced private companies and the EU to take action. 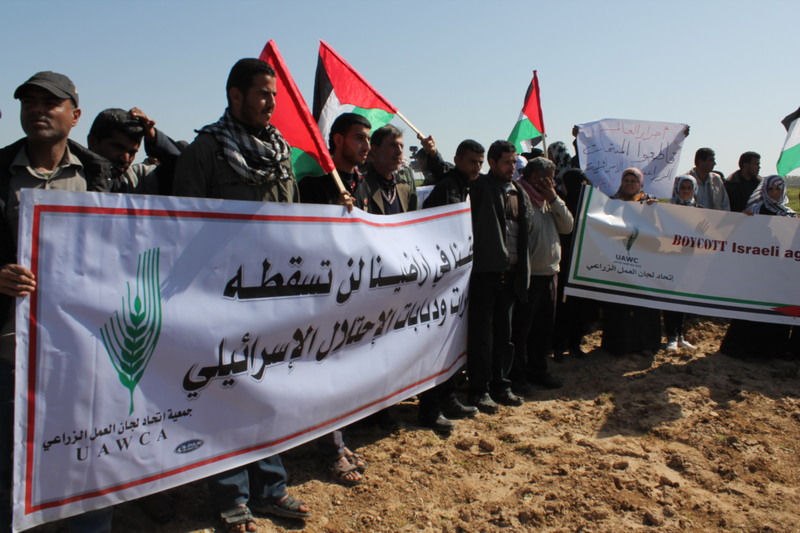 In 2013, Palestinian farming unions issued an appeal for action towards ending agricultural trade with Israel that finances and rewards the destruction of Palestinian farming. More than 1,000 people marched through Montpellier in 2009 in protest at Agrexco’s plans to build a terminal in the nearby port of Sète. In 2012, major UK supermarket The Co-operative Group responded to pressure from its members and BDS groups by announcing that it would no longer source products from any supplier that operates in illegal settlements, and stopped sourcing products from Mehadrin and three other Israeli companies. Many European supermarkets have implemented official policies to not sell goods from illegal Israeli settlements. During Israel’s 2014 attack on Gaza, Ireland’s biggest supermarket took Israeli products off the shelves and Israeli exporters reported that retailers across Europe cancelled orders. Leading South African agricultural company Karsten Farms ended its relationship with Israeli company Hadiklaim in 2013 and pledged not to trade with any Israeli company complicit with Israeli violations of international law. In 2016, shops in major wholesale date markets in Casablanca and Marrakesh boycotted Israeli Medjoul dates in support of BDS. In 2011, Israel’s largest export company Agrexco entered into liquidation following a major BDS campaign. Settler leaders have repeatedly complained about the growing impact of the boycott. In response to public opinion and BDS pressure, the EU has introduced labelling of produce from illegal Israeli settlements. Israeli export companies routinely lie about the origin of their produce and Israeli export companies are directly involved in Israeli violations of international law. 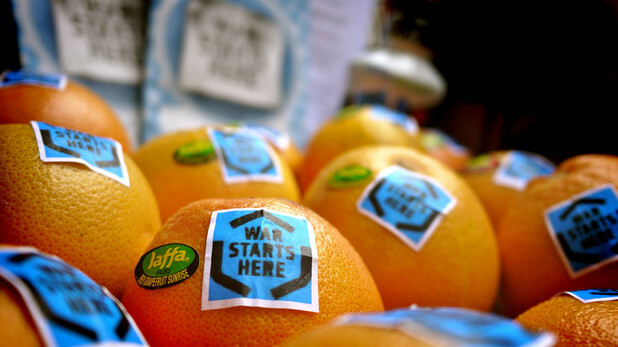 The labelling of produce from illegal settlements is plainly insufficient. Imports from Israeli agricultural companies directly funds and supports Israel’s colonisation of Palestinian land and the siege on Gaza. Our campaigns against Israeli export companies are already having a huge impact, get involved today! Virtually all Israeli agricultural export companies are complicit with Israel’s colonisation of Palestinian land. Boycott all Israeli fruit and vegetables! 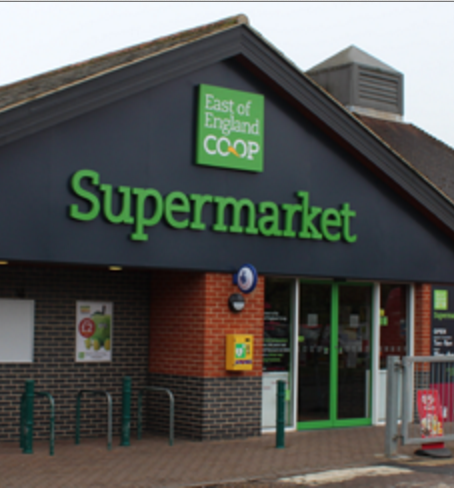 The BDS movement is campaigning for more retailers to adopt the position of the Co-Op supermarket in the UK, which doesn’t source products from any company that is complicit with Israeli violations of international law. Campaign for a retailer near you to do the same! Tell the story about the struggles of Palestinian farmers within your communities and within environmental and food sovereignty networks. Contact us if you’d like to be in touch with representatives of Palestinian farming unions.